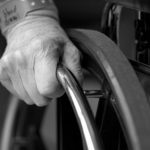 Just like any type of vehicle or object on wheels, wheelchair maintenance and cleaning is important for several reasons. Most importantly, regular wheelchair cleaning keeps the chair in top condition. A regular wheelchair inspection of all the moving parts ensures its functionality and usability. Similarly, as to when you wear a uniform to work or dress a certain way for the office, a wheelchair can certainly be part of your attire, so while the wheelchair’s functionality is a priority, you also want to look your best. This can be a tough chore, especially if you travel with your wheelchair or don’t have the ability to clean it yourself. Here are a few tips to keep in mind regarding wheelchair maintenance and cleaning that can keep your chair in great shape for years to come. Depending on the extent of your disability, you may need a family member, friend, or nurse to perform a regular wheelchair cleaning procedure. In fact, it’s a good idea to have a regular wheelchair cleaning schedule to ensure your chair looks its best and is functioning properly at all times. As wheelchairs see a lot of use, it’s a good idea to wipe down the back and wheelchair cushion covers once a day with a damp, soapy cloth. Deeper cleaning should be performed at least once per month. All components of the chair are easily cleaned with household cleaners, such as Fantastik or 409. You can also use Armor-All on the metal of the chair to keep it shiny. During this once-per-month wheelchair cleaning, the chair should also be inspected for visible signs of wear that could be dangerous to the patient. This includes cracks, deep scratches, and dents. If there is damage or parts like fasteners are loose, it should be immediately taken to a reputable wheelchair repair shop. Cleaning wheelchair tires and checking wheelchair tire pressure should be done often—in fact, tire pressure should be checked once per week. There are several kinds of tires on wheelchairs, including air-filled and foam-filled. While air-filled tires often give a more comfortable ride, the pressure must be exactly right. Tires with too little air pressure can actually cause damage to the wheel. Your wheelchair may or may not have spokes on the wheels; if it does have spokes, you can use the same can of Armor All to polish them as you did on the casters above. Quick-release chairs also have a tendency to get “gunk” (oil, grease, and dirt) embedded in the axles. For optimal performance of your chair and its wheels clean this once per month. You can look for a specialized wheelchair tire cleaner to do the job, or opt for a lightly oiled rag if you need to clean on the spot. Casters can also pick up much debris from the floor and ground, such as hair and carpet fibers. Once these are embedded in the casters, it may be hard to get them out. The best way to remove hair and fibers is to do so with a pair of tweezers. However, this involves taking off the casters, placing them on a wheelchair wheel cleaning mat, cleaning the axles with wheelchair tire cleaner, using the tweezers, and then replacing the casters. If you have a caregiver or friend to help, this procedure should be performed at least biweekly to keep your wheelchair running as it should. Occasionally, casters need to be replaced, as they can become loose or rusted, especially in areas that have frequent inclement weather. Two ideas to help combat this problem include wheelchair snow tires and wheelchair tire covers. It solely depends on which is more convenient for you. Ideally, when it comes to your wheelchair maintenance, its safety is much more important than aesthetics, so it’s important that you or a friend inspect your wheelchair on a routine basis to make sure everything is safe. A good idea is to have a wheelchair maintenance checklist so you don’t miss any of the important inspection points. You should also visually inspect your wheelchair before using it for the day, and before disembarking, you should always ensure that brakes are locked. To learn more about wheelchair maintenance and cleaning, or to learn about products that can help increase your mobility, contact Williams Lift Co. today. With everything from stair lifts to wheelchair ramps, we can help make your life easier.